Put some joy in your appointment scheduling. spend more time on the things that matter most. Try it free for 30 days! BookedIN frees up your day so you can spend more time on the things that matter. BookedIN helps take away your scheduling pain. 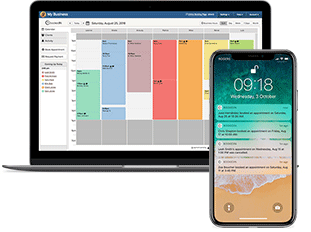 With one easy-to-use appointment booking system, you’ll be able to offload all those time-consuming tasks and free up your day for more important things. 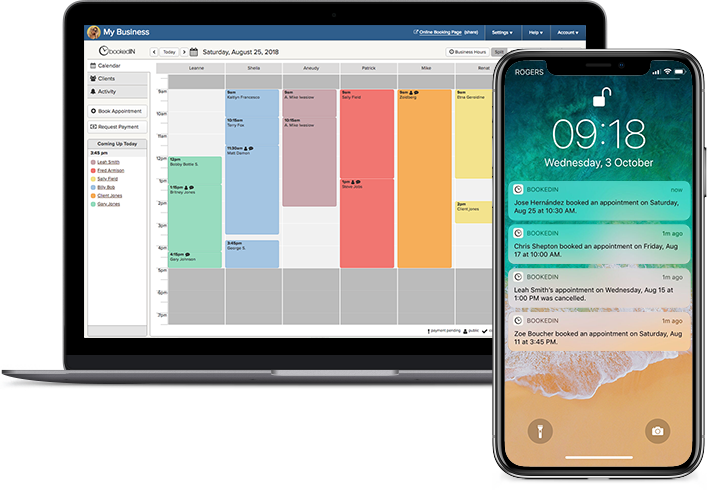 Let’s make booking appointments a breeze for both you and your clients! the scheduling stuff for you. She’s moved across the world, built up her customer list from scratch and opened up her own hair braiding salon. Read the inspiring success story of entrepreneur Vanessa Olomo, founder of Braids Connexion Baltimore. The story of a Vancouver single mom who reinvented her life and career. She went from being an unhappy stress-case working at a law firm, to the freedom and balance of owning her own microblading business. If you’re wondering, “is this online booking thing really worth it?” … look no further. Today we’re chatting with long-time BookedIN user Jason Medina, a tattoo artist and shop owner. the annoying parts of appointment booking for you.